Edwards’ lecture will explore the movement of the early church through both the changes and continuities exhibited in the first 75 years of Christian history after Christ’s death. Edwards, a 1967 Whitworth graduate, holds a Ph.D. from Fuller Theological Seminary and an M.Div. from Princeton Theological Seminary. He has also studied theology at the University of Zürich, in Switzerland; at the University of Tübingen, in Germany; and at Tyndale House, in Cambridge, England. Edwards joined Whitworth's faculty in 1997 after serving for nearly 20 years as a professor at Jamestown College, in Jamestown, N.D.
His 2009 book, The Hebrew Gospel and the Development of the Synoptic Tradition, presented groundbreaking research which greatly challenged traditional views of the synoptic gospels that, until his book’s publication, were generally assumed to be true. Edwards is a former longtime contributing editor to Christianity Today magazine, and he has published numerous articles and books for scholarly and popular audiences. He is also the author of Is Jesus the Only Savior? (Eerdmans, 2005), named the top book of the year on apologetics and evangelism by Christianity Today, and The Divine Intruder (NavPress, 2000). 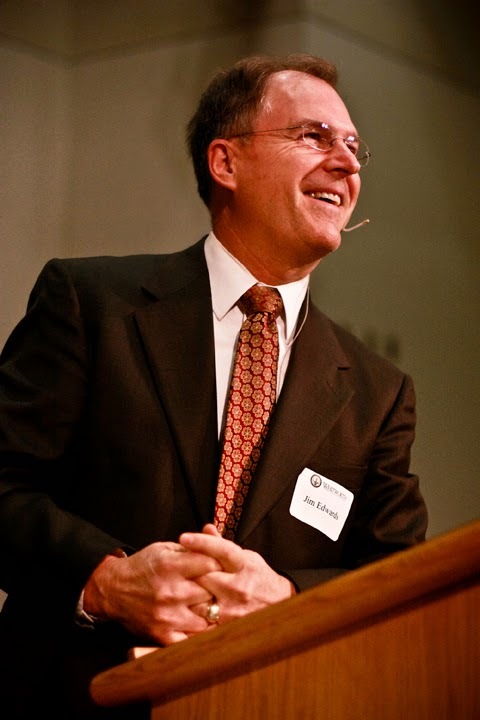 His other publications include a commentary on Hebrews in The Renovare Study Bible (HarperSanFrancisco, 2005); a commentary on Romans in New Interpreter's Study Bible (Abingdon, 2003); and a commentary on The Gospel of Mark, Pillar New Testament Commentary (Eerdmans, 2002). Debbie Stierwalt, program assistant in theology, Whitworth University, (509) 777-3391 or dstierwalt@whitworth.edu.